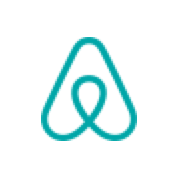 Airbnb is excited to host its annual intern Taking Flight event on Tuesday, July 31st, from 6:00pm - 8:00pm in San Francisco. Taking Flight seeks to inspire women in engineering by bringing together established technical leaders and engineers in the industry with interns looking to learn, connect, and belong. This year’s event will highlight women in various stages of their careers in tech. Our panelists will share how they have become influential leaders within their field, tapped into their strengths to create impact, and share challenges that have helped them become the leader they are today. When you enter the building, pass security and look for the "check in" desk to the right of the entrance. Please have your confirmation email ready to check in.. Mingle and meet new people! This event tends to fill up quickly. We encourage you to RSVP no later than July 25th and make sure to invite your friends interning locally! Enjoy dinner & drinks at 6:00pm, compliments of Airbnb's Food Team. Please note: the panel will begin at 6:45pm so please be sure to arrive before then. This event will focus on women in technology and is open to all who want to learn from this panel. An RSVP is required to attend. You will receive a confirmation email if you register correctly.